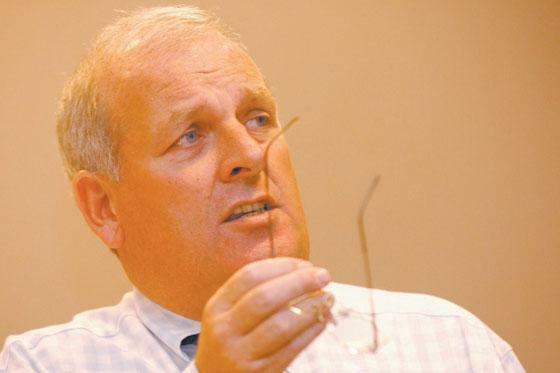 KELVIN MacKenzie isn’t one to pull his punches – and was his usual knockabout self when he spoke to the Leveson inquiry on Press standards today. Love him or loathe him, the former Sun editor knows how to get his point across in concise and often colourful language. – HE only checked the source of one story when he was editor of The Sun and it ended up costing him £1 million in libel damages. – A MOLE hunt launched after a major defence exclusive was chaired by the MI6 colonel who leaked the story. – GORDON Brown threatened to “destroy” Rupert Murdoch in a 20-minute phone tirade hours after one of his paper’s endorsed the Tories. – DAVID Cameron hired ex-News of the World editor Andy Coulson only as a gesture of political friendship to the newspaper tycoon. Mr MacKenzie (pictured left) didn’t mince his words when asked for his assessment of what should be done to reform the British media. He said the only new law needed is one to ban “under-talented” MPs from kissing the a**es of newspaper owners. In a bravura performance, he gave both barrels to David Cameron and Education Secretary Michael Gove over their “gut-wrenching” crawling to Rupert Murdoch. He even tore into Lord Leveson himself. Mr MacKenzie told how he had suggested Labour MPs should set their mobile phones ringing every time the PM stood up to talk in the Commons – in a jibe at his “potty” decision to hire ex-News of the World boss Andy Coulson as an aide. Mr MacKenzie gazed around the room and asked: “Where is our great Prime Minister who ordered this ludicrous inquiry? “After all, the only reason we are all here is due to one man’s action; Cameron’s obsessive a**e-kissing over the years of Rupert Murdoch. Tony Blair was pretty good, as was Brown. But Cameron was the Daddy. “Such was his obsession with what newspapers said about him – and Rupert had three market leaders – that as party leader he issued all his senior colleagues, especially Michael Gove, with knee pads in order to protect their blue trousers when they genuflected in front of the Special Sun. “Cameron wanted Rupert onside as he believed, quite wrongly in my view, that The Sun’s endorsement would help him to victory. “When the paper did come out for Cameron the Sun’s sale fell by 40,000 copies that day. He added: “Cameron had clearly gone quite potty. And the final proof that he was certifiable was his hiring of my friend Andy Coulson. “I remember telling anybody who would listen that if I were Brown, every time Cameron stood up in the Commons he should arrange for mobile phones to ring on his side of the House. 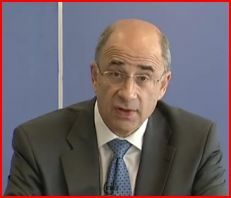 Turning to “this bloody inquiry” chaired by Lord Leveson (pictured right), he continued: “God help me that free speech comes down to the thought process of a judge who couldn’t win when prosecuting counsel against Ken Dodd for tax evasion and more recently robbing the Christmas Island veterans of a substantial pay-off for being told simply to turn away from nuclear test blasts in the Fifties. It’s that bad. “I have been forced by what sounds like the threat of a jail term to give a witness statement to this inquiry. “The questions not only made me laugh through their ignorance but also that a subject as serious as free speech should be dealt with in this manner. “Question seven basically wanted to know if an editor knew the sources of many of the stories. To be frank, I didn’t bother during my 13 years with one important exception. With this particular story I got in the news editor, the legal director, the two reporters covering it and the source himself on a Friday afternoon. “We spent two hours going through the story and I decided that it was true and we should publish it on Monday. It caused a worldwide sensation. And four months later The Sun was forced to pay out a record £1 million libel damages to Elton John for wholly untrue rent boy allegations. So much for checking a story, I never did it again. Basically my view was that if it sounded right it was probably right and therefore we should lob it in. “How will this inquiry change that? Question six also deals with sources and I disclosed another story that happened during my 13 years as editor of The Sun. That morning we had led on a Ministry of Defence story revealing some kind of secret we felt our readers should know. “The reporter concerned came in and said there was problem. No 10 had gone nuts and an official inquiry was starting into who had leaked the story with a colonel from MI6 being drafted in to head it. The reporter told me the MoD were determined to get to the bottom of it but it was not all bad news. Why was that I asked. “Because the colonel heading the inquiry was the bloke who gave us the story in the first place. How will this inquiry change that? Yes there was criminal cancer at the News of The World. Yes, there were editorial and management errors as the extent of the cancer began to be revealed. But why do we need an inquiry of this kind? “There are plenty of laws to cover what went on. After all, 16 people have already been arrested and my bet is that the number may well go to 30 once police officers are rounded up. Almost certainly they will face conspiracy laws, corruption laws, false accounting laws. There are plenty of laws that may have been broken. Lord Leveson knows them all by heart. Mr MacKenzie said Mr Coulson’s appointment at Number 10 was down to the PM’s personal lack of judgment. “I don’t blame Andy for taking the job,” he said. “I do blame Cameron for offering it. 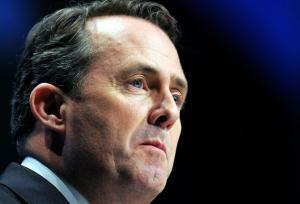 “It was clearly a gesture of political friendship aimed over Andy’s head to Rupert Murdoch. If it wasn’t that then Cameron is a bloody idiot. A couple of phone calls from Central Office people would have told him that there was a bad smell hanging around the News of the World. “Rupert told me an incredible story. He was in his New York office on the day that The Sun decided to endorse Cameron for the next election. That day was important to Brown as his speech to the party faithful at the Labour party conference would have been heavily reported in the papers. “Of course the endorsement blew Brown’s speech off the front page. That night a furious Brown called Murdoch and in Rupert’s words: ‘Roared at me for 20 minutes’. “At the end Brown said: ‘You are trying to destroy me and my party. I will destroy you and your company.’ That endorsement on that day was a terrible error. “I can’t believe it was Rupert’s idea. Strangely, he is quite a cautious man. Whoever made that decision should hang their head in shame. I point the finger at a management mixture of Rebekah and James Murdoch. “The point of my anecdotes is to show that this inquiry should decide there is nothing wrong with the Press, that we should enshrine free speech in Cameron’s planned Bill of Rights and accept the scandal was simply a moment in time when low-grade criminality took over a newspaper. “If anything, the only recommendation that should be put forward by Leveson is one banning by law over- ambitious and under-talented politicians from giving house room to proprietors who are seeking commercial gain from their contacts. In tabloid terms, a**e kissing will be illegal. Should have an interesting passage through Parliament. See also: “Keep taking the Tabloids” – this page, October 6. 2011.